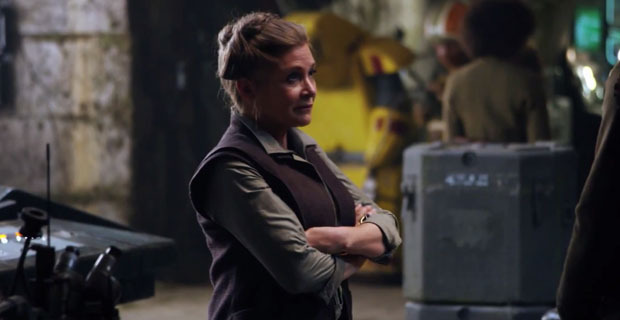 Certain corners of the internet are rumpled with consternation over Carrie Fisher’s appearance in The Force Awakens. Specifically, people want her to shut up about having to lose weight to play the role of General Leia. I don’t generally concern myself with celebrity gossip, but this particular teapot-tempest has caught my attention. Here’s the story as I understand it: Disney asked Fisher to lose 35 lbs in order to play Leia. Fisher, being past 50, had difficulty losing the weight. As anyone past 50 would. She has mentioned it in interviews, and on social media. With great grace and humor, because she is, in addition to everything else, a hell of a witty gal. She was under pressure to lose weight, as any aging actress — strike that, any aging woman — oh hell, any woman — is, and her current profile of “being in a new Star Wars movie” makes her struggle news. Who would not want to hear about an aging actress’s struggle to reclaim her signature role? I want to hear about it. The story has “human interest” written all over it. Everyone over 50, and anyone who plans to live past 50, has an interest in hearing about her struggle. And, while she says that Disney asked her to lose the weight, nowhere does she say that they were out of line to do so. She’s Hollywood royalty, she knows the score probably more than anyone alive. Tale as old as time: the younger generation repeats the actions of the older generation. Each generation thinks they invented the world, but, always, there is precedent. When A New Hope came out in 1977, its success was driven by teens but it was also a perfect family picture — adults could get lost in the nostalgia for old-timey serials, and perhaps admire the classically-hand-tooled-leather-bound storytelling, while children and teenagers could be simply thrilled and amazed as they never had been in a movie theater before. It was the Beatles of my generation, the one thing everyone agreed on. I had never seen a Flash Gordon serial in my life, as there was no Youtube at the time, so the vision of George Lucas was a searingly brand new thing for me. I didn’t know that he’d lifted things from Flash Gordon (and many other sources), from the title crawl to the names of his characters. Nor would it have mattered to me if I did. Clearly, clearly, Lucas had added something to his endless references. Kurosawa could immediately see that Sergio Leone had stolen A Fistful of Dollars from Yojimbo, but I’m guessing he’d be hard-pressed to identify the elements George Lucas stole from The Hidden Fortress, although he would have recognized his beloved screen wipes. 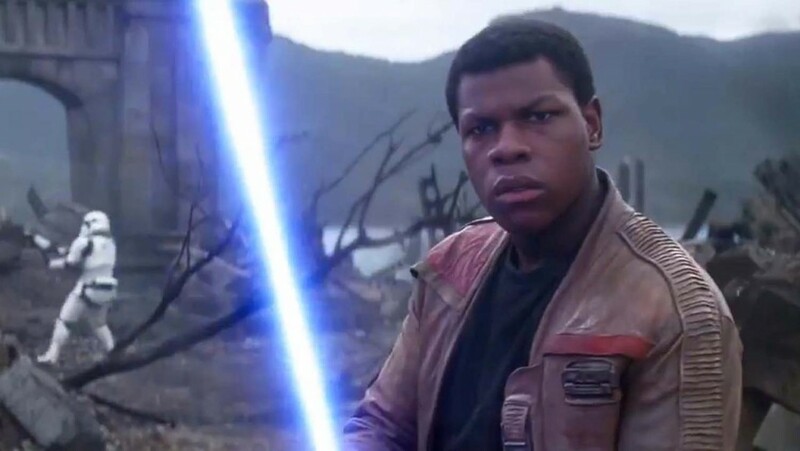 Today, The Force Awakens repeats the feat of A New Hope, with a twist: children are amazed and moved by the stories of Rey and Finn, and everyone else gets lost in the nostalgia, but instead of nostalgia for other movies, it’s nostalgia for Star Wars itself. The defining feature of George Lucas’s generation of filmmakers (Spielberg, Scorsese, De Palma, Landis, Dante, Miller) was that they were the first generation of film-school directors: their movies were about other movies. Now, a generation later, filmmakers like JJ Abrams grew up on the movies of Lucas’s generation, and make movies about movies, about movies. My father was shocked at Jaws, not because of the violence in it, but because the kid who directed the movie ripped off Hitchcock at every turn and didn’t even break a sweat to do it. He took Hitchcock for granted. Now, that level of tossed-off cinematic reference is simply a part of the typical movie-going experience. In The Force Awakens, the Star Wars narrative, having launched a generation of imitators, has nothing to refer to but itself. 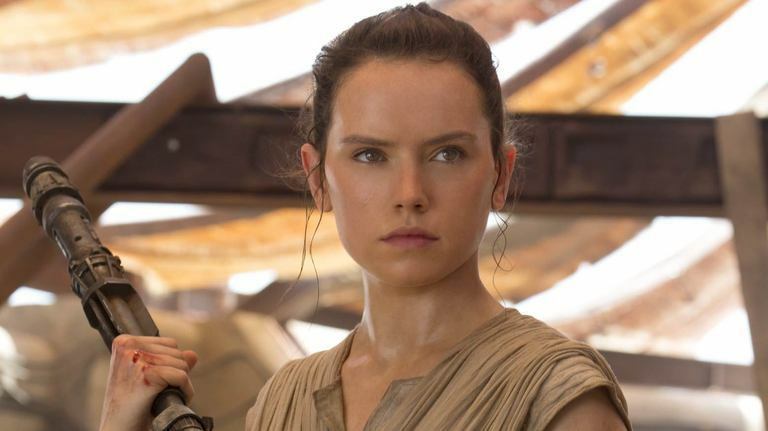 What thirty-year-old genre could a new Star Wars movie refer to at this point? That’s another symptom of our current generation of filmmakers. 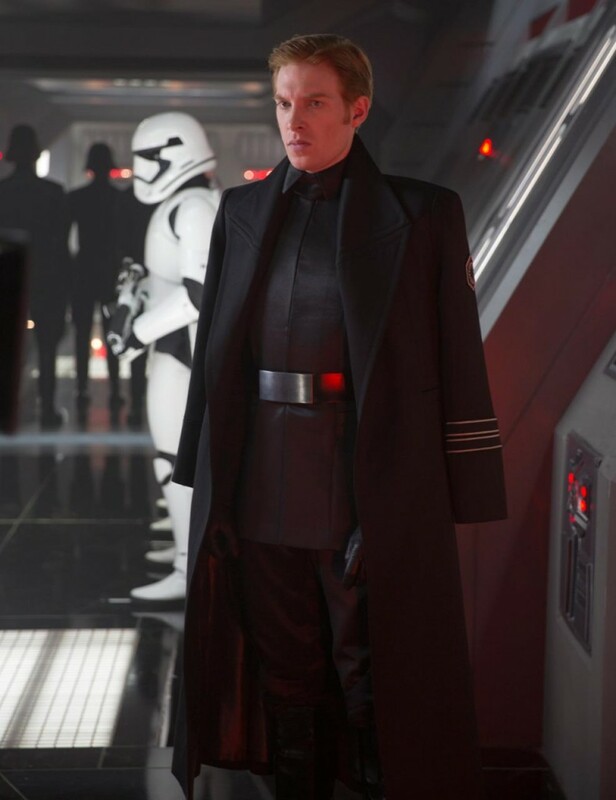 A Star Wars movie, or a Marvel movie, or a Harry Potter movie, or a Hunger Games movie, is no longer considered an embarrassment on your resume, something you did “for the money,” like Max von Sydow doing Flash Gordon (as we come full circle). It’s a badge of honor, a sign you’ve “made it.” “Serious” filmmaking used to be done in the realm of drama, and Star Wars was science fiction, a gutter genre. All that has changed now, all the serious money, and serious talent, is drawn not only to genre pictures, but juvenilia, and “serious drama” is all on television now. And Star Wars is the engine that drove that change. 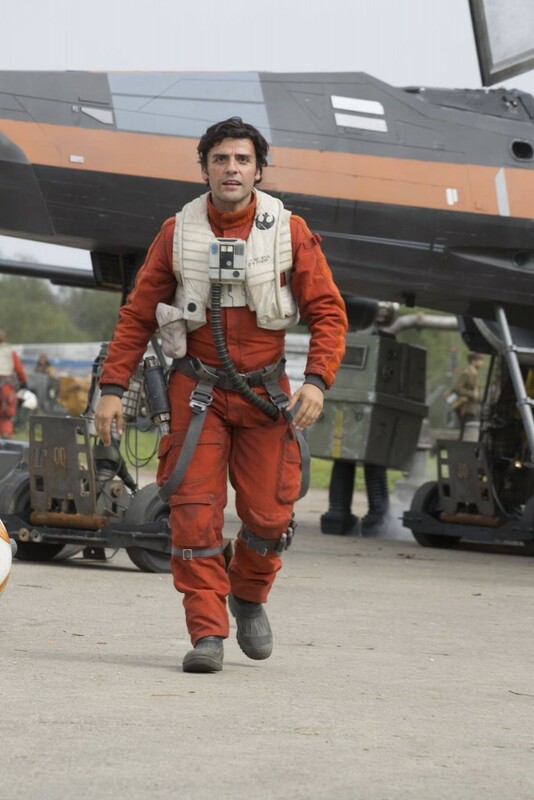 But, to the question at hand: What does Poe Dameron want? Spoilers within! Some folks on the internet find a cynical motive behind The Force Awakens‘s re-use of plot points from A New Hope. They see it as a corporation playing it safe, pandering to the audience, protecting their considerable investment. And yet, if “playing it safe” was the order of the day on the production of The Force Awakens, why are the four principle “good guys” of the movie played by a woman, a black man, a Guatemalan and a 73-year-old Jew? That sounds like idle snark, but let me assure you, movie studios are the most risk-averse institutions on the planet. I was once asked to develop a science-fiction franchise, based on a series of novels about a teenage girl trying to negotiate her way through a futuristic dystopia obsessed with beauty, and I outlined an entire trilogy, which took two and a half hours to pitch, only to have the female executive ask me if I could make the protagonist a boy. That was before The Hunger Games, of course, so now it would theoretically be “okay” to recognize that girls like science-fiction too, but to have a female protagonist with a black co-lead, and to have her kiss him in Act III? For the studio who refused to market Black Widow toys in connection with its Avengers movies, because “Disney has the girl market locked up with princess movies, thanks?” This is, I guarantee you, a bold step forward. But, more germane to our discussion here, what does Finn want? 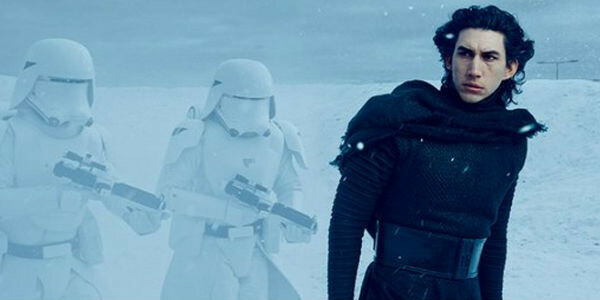 The true protagonist of The Force Awakens is Kylo Ren. He sets the narrative in motion and drives the action, and, in fact, “changes” the most. He also functions as the antagonist of pretty much everybody else in the movie. This kind of protagonist, once a staple of cinematic drama, is more properly called an anti-hero. An anti-hero is a protagonist who is on the opposite of a hero’s journey, a person who is bent on self-destruction. Nicolas Cage in Leaving Las Vegas comes to mind. Robert De Niro in Taxi Driver, or any of his major roles, really, is a classic example. And, of course, Darth Vader in the prequel trilogy. It seems hard to believe that everyone in the world hasn’t already seen this movie, but, just in case, please be advised that there are spoilers ahead. Many years ago, I was up for the gig writing the movie adaptation of Scott Westerfeld’s wonderful sci-fi (then) trilogy Uglies, Pretties and Specials. I liked the books a lot and the idea, I thought, was a real fire-cracker: a dystopian future, a sci-fi trilogy, with a female protagonist, where each movie in the trilogy would examine the same society from a different point of view. It had never been done before and it was a huge opportunity. The producer who brought me the books was a respected big-budget sci-fi producer, and the project was set up at a genuine big-deal studio. All I needed to do was get a firm handle on how to tell the story and there was no way the project could not move forward. 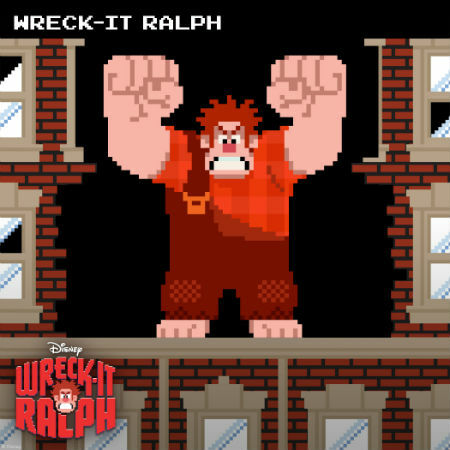 Conceptually, Wreck-it Ralph is a close relative of Toy Story, and a comparison of their respective plots is instructive. Spoilers obviously follow. Congratulations to the Disney Animation folks on their brand-new hit. It is charming, witty, funny and entertaining. 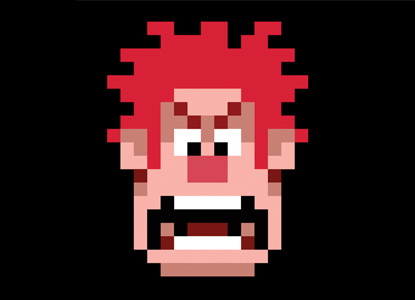 Noteworthy to me is Ralph’s in-game backstory. It’s not really a spoiler, since it’s not really discussed at length in the movie, but I will hide it under the fold nevertheless for the sake of decency.